You might have seen Justin Bieber wearing something from this Bushwick vintage clothes dealer. 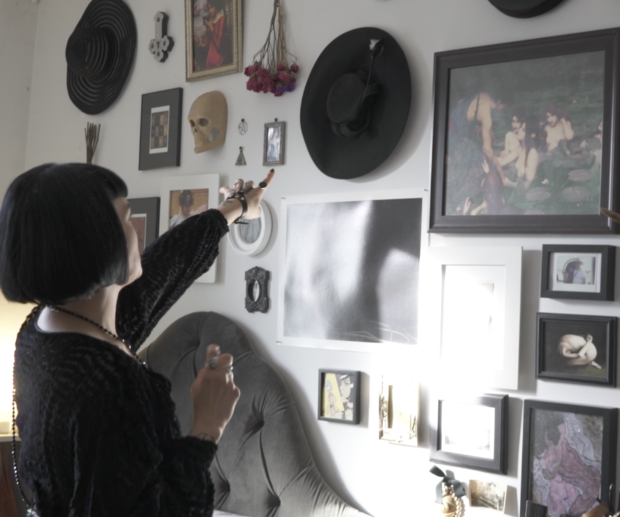 D’arcy Rosebrock is a vintage dealer and wardrobe stylist here in Bushwick. She has spent the past 5 years turning her passion of fashion into a highly-successful business. Her pieces and stylings have been worn by Jessica Chastain in the Oscar-nominated film "The Help," Lady Gaga on "American Horror Story: Hotel," actors on "Mad Men," and by many others in movies and shows. Even Justin Bieber has been seen sporting clothes purchased directly from D’arcy. When D’arcy first shopped the vintage scene in Bushwick, she was shocked by how vibrant it was. She “canceled all appointments for the day and spent 5 hours shopping” bringing back an enormous haul. Now D’arcy’s studio is in Bushwick, and she regularly makes the rounds to get first crack at the constantly-changing inventory at the many stores in the neighborhood. Check out the video above to learn more about why D’arcy thinks Bushwick is such a hub for vintage clothing, and see some of her amazing inventory! Filming locations for this video include GG Social Trade & Treasure Club, 1339 Dekalb Ave.